Canfield Connector has been in business for more than 35 years. 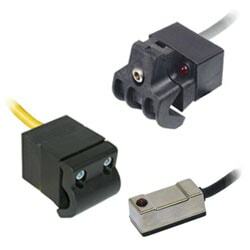 They started in a garage back in 1977 selling German solenoid air valves, and in 1980 they introduced the DIN style solenoids to the North American continent, followed by lighted connectors in 1981. 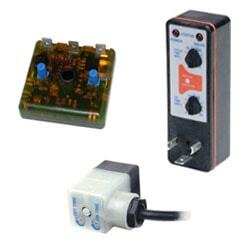 By the mid 80’s, Canfield Connector was manufacturing its own DIN 43650 timers and solenoid drivers, and later we expanded to producing our own sensors in 1985. With the new millennium, came new developments at Canfield Connector. We began molding our own plastic parts and set a new standard to provide a new level of cost effective quality components. We were the first in the air valve industry to create a virtually indestructible all molded connector. Canfield Connector’s innovation as an air valve manufacturer continues to be a driving force in the quality of our product development. Value we bring is the key to success. Canfield implements continuous improvement in all areas of our business. Our score strength is our ability to react and produce a product quickly to specification that incorporates electronics coupled with fluid power. Total customer satisfaction through unmatched quality, products, service, and integrity. Minimize waste by evaluating operations and ensuring we are as efficient as possible. Design and specify materials that are environment-friendly. Meet or exceed all the environmental legislation that relates to the industry and products. 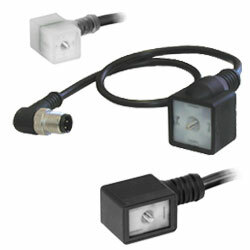 Used to connect the solenoid operators of pneumatic and hydraulic solenoid valves to electronic controls.